FMC Science is the research arm of Family Medicine Clinic, the largest independent private practice in Lampasas and Coryell Counties, Texas, with a service area of over 80,000 residents. FMC has served Lampasas, Copperas Cove and the Central Texas area for 80 years and is highly regarded in the community. FMC has 12 board-certified family practice providers who care for 25,000 patients each year. Check out our current and upcoming studies to see if you qualify! James Cain, MD, is a board-certified family physician who has practiced in Lampasas and Copperas Cove for the past 15 years. He serves as principal investigator at FMC Science. Dr. Cain completed his CITI-GCP, IATA, NIH Protection of Human Subjects, OSHA, and HIPAA training in the fall of 2014. Dr. Cain has special interests in studies relating to diabetes, arthritis, dermatology, psychiatry, and asthma/COPD. He graduated from the prestigious UT Memorial Hermann Southwest Family Medicine Fellowship and Baylor College of Medicine. Dr. Cain has had the distinction of working with two icons of American medicine, world-renowned heart surgeon Denton Cooley (Dr. Cain did data entry for many of Dr. Cooley’s investigational devices and drug studies), and TV celebrity Dr. “Red” Duke. 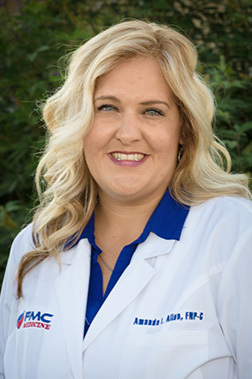 Dr. Cain has served as chief of staff of Rollins Brook Community Hospital in Lampasas and is a member of the Executive and Credentialing Committee of Metroplex Hospital in Killeen. He is best known as the beguiling master of ceremonies of the Little Miss Spring Ho contest, one of the highlights of the nationally prominent Spring Ho Festival held in Lampasas every summer. 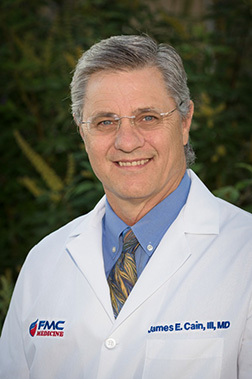 Mark Lane, MD, is a board-certified family physician who has cared for Texas Hill Country patients for over 22 years. In the fall of 2014, he completed his CITI-GCP, IATA, NIH Protection of Human Subjects, OSHA, and HIPAA training. Dr. Lane, who serves as sub-investigator of FMC Science, has strong research interests in hypertension and heart disease, oncology, ENT, ophthalmology, and gastroenterology. 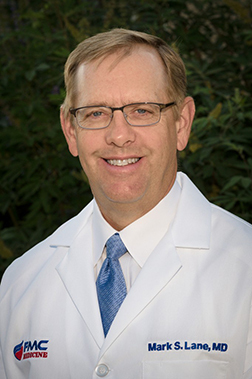 Dr. Lane did his family practice fellowship at Texas Tech Health Science Center in Lubbock, Texas, and completed medical school at the Texas Tech School of Medicine. He is one of the unique physicians in our service area who is certified as a medical examiner to perform Federal Aviation Administration (FAA) and Federal Department of Transportation (DOT) physicals. Dr. Lane is the medical director of Regal Skilled Nursing and Long-Term Care Center and has served as medical director of the Lampasas Emergency Medical Service and Health Officer of the Lampasas County Public Department. He also is a member of the Medical Staff of Rollins Brook Community Hospital in Lampasas and Metroplex Hospital in Killeen. When you visit FMC Science, make sure to look for the picture hanging in Dr. Lane’s exam hall of the little boy opening his presents one Christmas morning in Sudan, Texas. Lauren Lockhart joined FMC Science in 2014 just after our research entity’s inception. In the fall of 2014, Ms. Lockhart earned her Certified Clinical Research Coordinator (CCRC) certification. She also completed her CITI-GCP, IATA, NIH Protection of Human Subjects, OSHA, and HIPAA training and developed FMC Science’s standard operating policies. Lauren brings a wealth of clinical research experience to FMC Science. She has seven years’ previous experience as a CRC with U.S. Oncology Research (USOR), one of the nation’s largest cancer research centers. At USOR, Lauren served as clinical research supervisor for the Austin market and directed nine clinical research coordinators. She also personally managed more than 85 clinical trials (phases 1-4) in diverse drug studies relating to breast, GI, genitourinary, lung, lymphatic, hematopoietic, gynecologic, and solid tumor cancers. However, Lauren is probably most proud that she is an Aggie – a graduate of Texas A&M University in College Station – who awarded her a BS Degree in Biomedical Science in 2007. Amanda Allen grew up at FMC Science. She started out with FMC as a high school intern in 1996 and progressed to medical assistant/lab & x-ray tech, nursing supervisor, office manager, director of operations, and family nurse practitioner. During her employment with FMC, she earned her BSN and MSN degrees. As a sub-investigator with FMC Science, Ms. Allen has completed her CITI-GCP, IATA, NIH Protection of Human Subjects, OSHA, and HIPAA training in the fall of 2014. 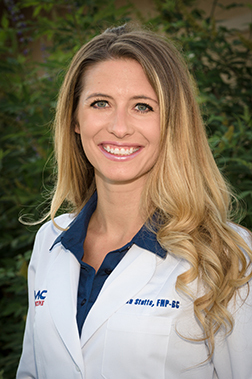 Her primary clinical research interests are OB-GYN, pediatrics, geriatrics, orthopedics, and rheumatology. Ms. Allen has a very active clinical practice and cares for more than 30 patients of all ages each day in the office. She also rounds at the three Nursing and Rehabilitation Centers in Lampasas. Ms. Allen chairs the School Health Advisory Committee of the Lampasas Independent School District and coaches area youth softball and soccer teams. If you want to bring a smile to her face, ask her about her daughters Meredith and Mattie. 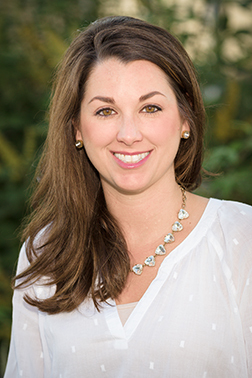 Johnna Stotts Davis, a native of Lampasas, is a board-certified Family Nurse Practitioner. She joined FMC Science in 2015 as a sub-investigator. As a sub-investigator, her primary clinical research interests include OB-GYN, dermatology, and endocrine studies, including diabetes, thyroid, and hormones. She has completed her CITI-GCP, IATA, NIH Protection of Human Subjects, OSHA, and HIPAA training and practices exclusively in the FMC Science department. Mrs. Davis earned her Bachelors of Science in Nursing from The University of Mary Hardin Baylor. She earned her Masters of Science in Nursing-Family Nurse Practitioner from the University of Texas El-Paso. This graduate program provided additional education in outcome-based awareness of the global healthcare environment and she was able to spend a large amount of her clinical training in the underserved clinics of the Texas/Mexico border. Mrs. Davis has had the opportunity to serve in medical missions in Mexico, Honduras, and Africa. Mrs. Davis comes from a long line of Texas ranchers, and she continues this way of life on her family ranch as well as with her husband raising grass-fed beef. Kim Gabara is a certified medical assistant who serves as FMC Science’s director of operations. Ms. Gabara organized and equipped the clinical research program and oversees the training of FMC Science investigators and staff. She is integral in subject recruitment, informed consent, data entry, drug accountability, and subject treatment. Ms. Gabara has completed her CITI-GCP, IATA, NIH Protection of Human Subjects, OSHA, and HIPAA training. 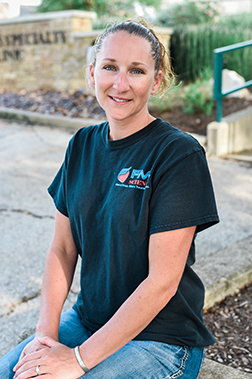 She holds an associate degree of applied science in medical assisting from Brown Mackie College in Louisville KY, and received her national certification in medical assisting in 2008. Ms. Gabara has 10 years’ previous experience as lead medical assistant and lab manager in the family practice setting. Ms. Gabara worked as a logistics technician, E-4 (P), in the U.S. Army, Fort Hood, TX, from 2001- 05 and during that period served in Operation Enduring Freedom in Iraq. In her military career, she was awarded the Army Commendation Medal and the Army Achievement Medal for her distinguished service to her country. Ms. Gabara is an avid hunter who is known for her mouth-watering venison jerky and her cactus pear jelly. Burr Webster started FMC Science with the assistance of all the members of the science team. In the fall of 2014, he completed his CITI-GCP, IATA, NIH Protection of Human Subjects, OSHA, and HIPAA training. Mr. Webster has previous clinical research experience in his role as CEO with two cardiology groups in Phoenix, Arizona, and Portland, Maine. He has more than 40 years of practice management experience as CEO or primary consultant with over 100 medical groups, representing all the primary care specialties and all the medical and surgical subspecialties. Cathy Collins is a seasoned clinical trial professional with more than 23 years of experience at a senior leadership level. She is CEO of Clinical Consulting Solutions, which she founded in 2014. Clinical Consulting Solutions provides consulting services to research centers, CROs, and Pharma. Cathy has managed more than 100 research centers in her career, including the development of 13 new research clinics. Cathy has also served as vice president of operations for two national site management organizations - Clinical Studies LTD and Protocare Trials. She was the co-founder and served as CEO of Meridien Research, a five-center wholly owned and operated, dedicated site research organization in Tampa Bay, Florida, that conducted hundreds of Phase 1-¬4 research studies during her tenure. She also co-¬founded and served as CEO for the Insearch Group, which provides business development services to over 300 physicians/research centers across the United States. Cathy sold Meridien and Insearch to a private equity firm in 2012 and remained as CEO through February 2014.